Now Comes a New Problem , with My Wi-Fi its not consistent and iam experiencing inconsitency with the connection just in the process of checking if its a issue with my phone or with my Wi-fi Modem but i see in my HTC its strong and full no break ups but I doubt there is a WIFI problem with Micromax magnus similar to Canvas 4 , Suspecting it to be a device issue !! AnonD-204760, 09 Nov 2013Hi sri, You have mentioned that magnus didn't have heating problem, kindly clarify this as i ... moreYeah simple it needs some free space to cool !! so when u download just put all ur downloads and keep it aside i didnt feel the heating issue when im playing or during long calls but yeah wen texting / chating i feel but not so hot !! You have mentioned that magnus didn't have heating problem, kindly clarify this as i googled this but didn't found any heating related query / post for a117. And by the way i have magnus from 1week now it has heating problem, while downloading something from net. Hi, I had drastic problem with the handset. It stop working suddenly and was not being switch on. So it was given to one of the service center after it work for few days and again had same problem so it was given to different service center. They said something has gone wrong and they could not solve it and blamed me saying this set has been open in outside service center. Now after explaining everything, though they did not reimburse neither try to fix the problem. So I had to lose 15k on this set. 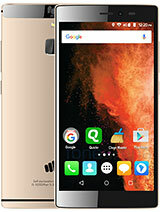 My advice to other fellow is please do not buy any micro max cell phone if u don't want to lose your hard earn money. The customer service is worst and all and its hard to trust on such brand after my such experience. 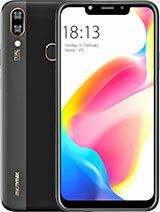 do check out themobilestore.in. They had white when i checked in. Anonymous, 08 Nov 2013There is a card slot..expandable to 32 gb...I have this phone What is the price of this phone??? and is this phone good enough in comparison to turbo and Doodle-2?? 1. There is memory card slot...32 gb expandable. 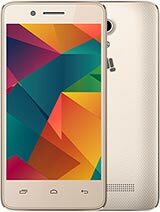 i m having this phone from 6 days. it is the best phone with these specs. in such price. 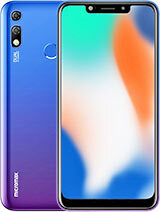 gsm arena shuld change the memory slot and battery specs. 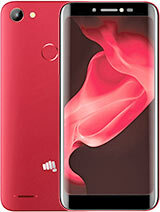 KAILASH, 08 Nov 2013i m purchase this mobile Rs 14000. its good no doubt but i m facing a problem. rear camera 1... morei am facing same problem.the camera take photo is full of noise. sri, 07 Nov 2013Hi All, I'am using this Magnus since last 10 days. I'am a HTC user and Mobile freak I shoul... moreIts not the use that counts, there are N number of mobile manufacturer's that manufacture smart phones these days that are reaaallllyyy good, but in the end if the end if the phone breaks, there should be some kinda service, aint that right? You would curse the day you bought this phone when it breaks and you have to break your head to find a valid service centre, who had people who would help you out.